The origin of the beings now involved in elevating the Human race to the next level lies some 37 light years from Earth in the Zeta Reticuli system. This information though presented on their website Zetatalk, was first revealed to the world through a married couple and contactees, Betty and Barney Hill. This mission had perils, first, to deliver accurate data on a star chart in advance of current technology and to have the information revealed under hypnosis, therefore providing an element of doubt. The only reason the story was allowed to circulate, was that no such star system existed on astronomical charts. The establishment saw this as a win win situation. Captured citizens, terror on the lonely road, beings with a sinister agenda, this message was allowed to go forth. For that same message that would be proven later false. If sinister, then why were they allowed to return to Earth unharmed? So really happened during the encounter and how did the intelligence community and those in charge react outside of the public eye? Now for the truth, Betty and Barney volunteered of their own free will for this mission. Years of subtle dreams and telepathic contact continued until anxiety was no longer a factor when the meeting took place. The ship cloaked from US an Canadian radar stations, landed off the road after making their presence known. The Hills did not panic, as events seemed rehearsed in their minds, although in Barney's case, the media and movie portrayed him as fearful and afraid. He was the man, he lead and protected his wife into this adventure. This was personal choice made by both. After suffering the injustices in America due to a mix marriage, here was a different situation, beings of another world that loved them for who they are. Why was an interracial couple picked? As the visitors knew, during this time period in America, this would send a clear message to the bigots that control the intelligence agencies, path repeated on most dominant races on 3rd density worlds. As a civilization evolves, they embrace all that is different as the many facets of "ONE". The Hills eagerly walked into the ship, as curiosity far out weighed the feeling of the unknown. In their minds, the idea of no harm was reinforced implanted in the many months before. Upon entering, the hatch sealed and the ship accelerating swiftly outside of Earth's gravitational force. And then the barrage of unrelated questions to the mission came from Betty and Barney, and they were answered as long as the knowledge provided it did not tip their balance of free will. This went on for the first half of the meeting and then they told why they were there. Suddenly, in the middle ship an area of blackness pure to the eye floating above eye level expanded into a 3 dimensional globe until reaching a predetermined size, inside miniature stars appeared creating a stellar formation. What was so cool, is that they looked like solid masses and had active surface texture, coronas and were of different types various colors. Then streams of directional particles started to move between certain stars, some streams seem to have greater intensity. They described the streams as trade routes and intensity match volume of travel and direction. As they stood there, the globe slowly rotated to ingrain the 3 dimension picture from different perspectives in their minds. They were told, they would receive disturbing dreams, prompting them to seek professional help and over time the world would know of their story. The last part, was an examination, if this was to succeed they needed to have any cellular damage repaired. This why they were probed, it was a proactive medical checkup and this is always the case with contactee brought on board. Upon landing, they were escorted back to their car. The molecular patterns affecting the cellular structural makeup within their brains of the past few hours was moved to the sub-conscience area as if nothing happened, the missing time. This was deliberate, as their free will lead them to investigate the gaps. Since many professionals discussed the case before it was on the radar, as this was just a "dream", the story leaked. Threaten with death upon the realization there may be something behind this, after both revealed the story, they were told to cease. The descriptions were confirmed by contact already occurring within the US Government. The discussion, how could they know so many details? The consensus was control and containment. But it was and still is debunked by government experts, thus treated in the public eye as just another wild story. Those that enquired, were harassed, discredited as fools in our society. All changed, when the stellar system was identified and proven true by astronomers, the result, a certain group marked Barney for death. It was feared that he would talk about the extreme interrogations at the hands of elite members intelligence community after their story was proven right. The delay only made to look like natural causes and second to send a message to Betty you are next. What needs to be considered, is that the true danger was not in the meeting of Alien life, but its consequence from those on Earth that would kill its own citizens to block the idea that life exists on other worlds and it continues today. They would like all Americans to know in their passing, they did it for the country and then for mankind. This was their mission on Earth, disclosure. Their home is located on the fourth planet in a multiple stellar system, not currently visible with present day observatories. Although, the gravitational wobble of the stellar objects in the Zeta Reticuli system can be detected from the with current technology. 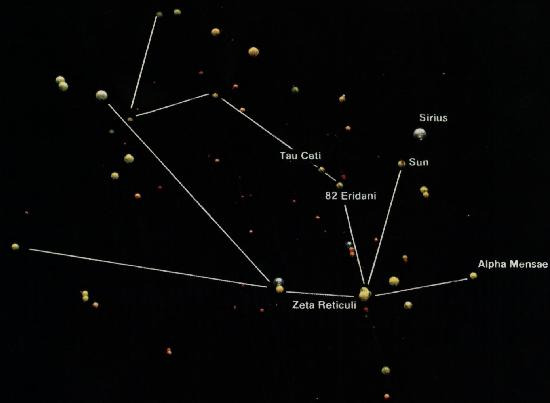 Thus the name Zeta was given to them due to the assigned name of the star by astronomers on Earth. They are known by many names, by many races. For the advanced ones, they are known by their souls. Presently the Zeta system has evolved to a point that our own Sun will follow shortly. Their planet predominantly a terrestrial dry supporting only lower forms planet life like mosses and insects with their larvae for food, information revealed by the Zetatalk site. During their transformation, their third density Sun faded and was then they genetically engineered larger eyes to absorb all available light. They are excited to provide the Earth with the true story involving the meeting with both Betty and Barney Hill without the official slant provided by those in the past intelligence services of the United States, Dept. of Navy. I will say that, there is an improvement within the US Military as the old regime is passing and the new, embracing the future with cooperation.